A colored 300 page recipe book. Soft cover, 8 x 10 in., featuring recipes provided by fans in over 20 countries. With contributions also provided by celebrities affiliated with the band. JerseyGirl22 My book just arrived, and it's FANTASTIC! Great recipes, tons of Bruce stories, kids drawings, proceeds going to a great cause...what's not to love??? Thank you Annette and Candy for all of your hard work. It's truly a masterpiece! I'm so proud to have been a part of this very important project. As always, I remain a very proud member of the E Street Nation! djheilbrunn In addition to its variety of delicious recipes, this book feeds the heart and soul...truly a marriage of food, love and music! It feels like a gathering of Bruce fans coming together for a reunion...so many fabulous stories and Springsteen memories shared. A great book for an important cause, ending hunger...thanks to all who worked so hard to put this together! mamalocksy Combining my love of cooking & Springsteen... this book is a DREAM! It has all the feel of a treasured family cookbook but organized as if published by professional chef. A treasure of delicious recipes, heartfelt illustrations, and packed full of a shared love for Bruce, his music, E Street, and worldwide fan family. Wonderful gift for any occasion and all net proceeds donated to @WhyHunger. SticksPhilly This book is more than just recipes. It's the experiences that Bruce's fans have shared that make this book so special and unique. I hope Bruce and the band read them as well as try the delicious dishes that the fans so lovingly shared. There are hundreds of quality recipes from several countries. Home cooking at its finest....with the proceeds going to a great cause. Win-win for all! Great job by the authors. Lindabel15 Lovingly created, many delicious-sounding recipes, and proceeds go to charity. What more could you ask for? Oh yeah, anecdotes about Bruce Springsteen by his loyal fans. This beautiful cookbook is well worth the money in every way. Alessia777 What an amazing job was made with this book! A whole community brought together by a generous, brilliant project: truly a great achievement! Bought 1 for my family and me and gonna buy other 2 as gifts for friends. BCDoolan A wonderful book for all fans of cooking , with simple recipes from all over the World. A wonderful book for all fans of Springsteen with stories, lyrics & pictures on each page & a wonderful book if you want to make a difference as all net proceeds from sales are donated to WhyHunger . Great book , great cause & highly recommended . Diane Geddes It takes a leap of faith to get things going... that and the passion of a few Bruce fans who want to help others! Way to Go! AnnaLind1 This is a solid, extensive cookbook with not only recipes from all over the world, but also the personal stories of a whole bunch of Springsteen fans. BossTalk It was an honor for my family ( 81 yr old mom, my daughter, husband and myself) to contribute our family recipes to this wonderful cookbook ! I purchased 4 copies, 3 as gifts and 1 will be saved to be a family heirloom. I wish them great success with the sale of their cookbook ! Please buy a copy or more - You'll love it ! Moody85 Mine arrived Monday, finished reading Monday night. Love the stories of the contributors, and the recipes look wonderful. You won't be disappointed. Donna, Bruce Funds.org Hungry Heart Recipes to the Rescue is a testament of love collected by two dedicated curators, Annette and Candy. And this is not just a collection of recipes from around the globe; this is a collection of love and memories for the music and live concert experiences that fans have cherished of Bruce Springsteen and the E Street Band. May the food detailed within bring as much joy and comfort as the music, the man, and the band have brought to us all while raising funds and awareness to end hunger. Collecting recipes from Bruce Springsteen and E-Street band fans, to compile a book to raise funds for WHYHUNGER. Feeling blessed by the love bestowed upon us by Bruce Springsteen and the E-Street band, via concerts, lyrics, autobiography and numerous encounters "out in streets" as well as their entertaining social media exchanges, we felt the urge, no, the NEED to find a way to give back. 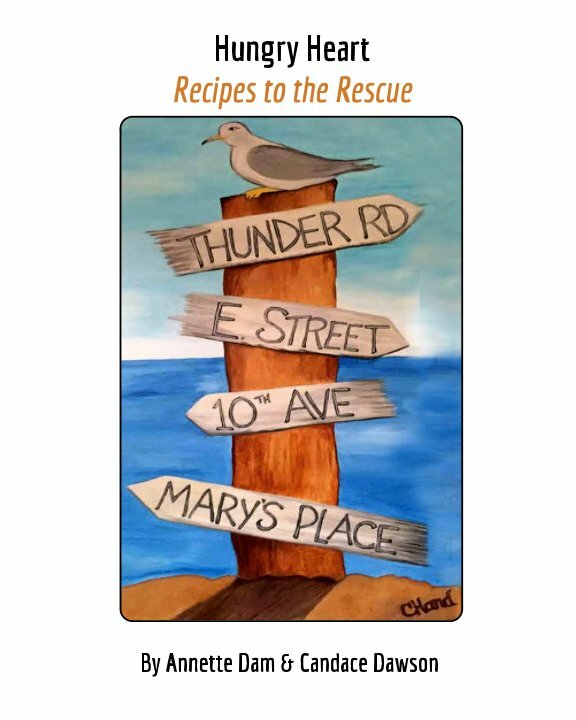 This new Blood Brothers and Sisters - RECIPE BOOK is our way of not only saying Thank you, but of also helping those who are hungry out in the streets. We will be collecting recipes from as many fans as possible to compile this book. We will also be collecting handmade DESIGNS from children fans (under the age of 18) to embellish the pages. Adults wanting to contribute with handmade designs are welcome to submit their illustrations to compete for the coveted COVER design. All childrens' illustrations will also be considered for the cover. What would you be really proud of serving at your table, should Bruce or any other member of E-Street stop by for a visit? Do you have a special recipe to share with us? Do you have a special design one of your little ones have made? 5. One line on “Your personal message to the band" (or to one specific member). • Deadline for submitting material is August 31st, 2017. • Recipes which are submitted without the classification specified on previous item – will be disqualified. • All recipes need to be supplied in English. • Should two recipes turn out to be very similar to one another, we will use the one we received first, and advise the supplier of the second one should he/she wish to provide another recipe. • Only one design per fan will be selected, but artists may submit more than one. • Designs need to be either food themed or rock and roll themed. • Designs must be submitted in .jpg, .pcx, .gif and possess a minimum resolution of 150 dpi. If you are interested in being a part of this magnificent project, please click on the appropriate E-mail and send us your contribution. Added surprises are in store for this great project, which we will divulge at a later date. With “I want one” in the subject line and we will contact you as soon as they are ready.